Dr Linda Porter has a B.A. and a D.Phil from the University of York, where she studied under the direction of two inspirational professors, Gerald Aylmer and Gwyn A. Williams. She spent nearly ten years lecturing in New York, at Fordham and City Universities among others, before returning with her American husband and daughter to England, where she embarked on a complete change of career. For more than twenty years she worked as a senior public relations practitioner in BT, introducing a ground-breaking international public relations programme during the years of BT’s international expansion. The attractions of early retirement were too good to miss and she has gone back to historical writing, reviewing for the BBC History magazine and History Today. 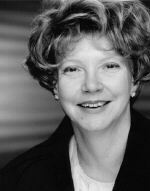 Linda was the winner of the 2004-2005 Biographers Club prize. 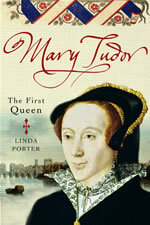 Linda’s first book, Mary Tudor: The First Queen, was published by Portrait in September 2007. 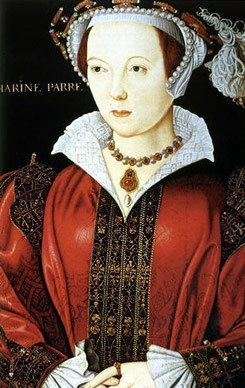 This is a personal history of Mary I (Mary Tudor), the eldest of Henry VIII’s three children. The book reveals that the popular image of Bloody Mary, the evil queen who sent hundreds of Protestant martyrs to the stake and effectively sold her realm to Spain, is an invention of Elizabethan propagandists. It was deliberately fostered to contrast the supposed dark night of Mary’s short reign with the golden dawn of the Elizabethan era. The real Mary suffered much in her tragic life but her memory has suffered even more. A determined and courageous survivor, Mary’s life and reign have been comprehensively re-appraised in this critically acclaimed biography. Linda’s second book, Katherine the Queen: the remarkable life of Katherine Parr, was published in 2010. 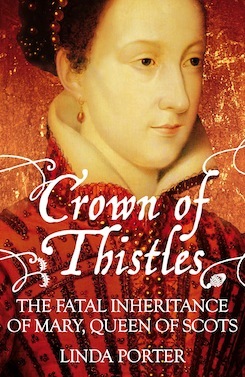 It strips away the Victorian myth of a worthy matron whose chief skills were nursing Henry VIII and writing obscure devotional works to reveal a feisty, clever and sensual woman who was well-suited to be the old king’s last consort – and a major influence on the future Elizabeth I. 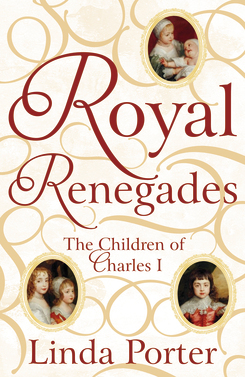 In 2016 Pan Macmillan published Linda’s fourth book, Royal Renegades: the children of Charles I and the English Civil Wars, which tells the story of the six children of Charles I and their dramatic experiences during and after the Civil Wars. As well as giving frequent talks in stately homes and at literary festivals, Linda has appeared on television for the Channel Five ‘Last Days’ series, talking about Mary Queen of Scots and Charles I and she was the historical adviser on Lucy Worsley’s Six Wives series for BBC1, about the queens of Henry VIII. I was first put in touch with Andrew Lownie by Jonathan Trace, an indie film producer from the Midlands who had done a lot of corporate work for me when I was in charge of BT's European public relations programme. When I decided to leave BT and go back to my roots in writing and historical research, I asked Jonathan if he happened to know any literary agents in London. To my surprise, he said that he did and Andrew's was the name he gave me. I got in touch and, with Andrew's valiant support, it was a case of third time lucky when, after two other ideas were rejected, Piatkus offered for the new biography of Mary Tudor that I had proposed. Macmillan have continued their association with Linda Porter buying UK & Commonwealth rights in a book, provisionally called Loose Ladies, about he mistresses of Charles 11. Linda Porter was one of the historians appearing on last night’s Channel 5 programme The Last Days Of…. The Last Days of Mary Queen of Scots, featuring Linda Porter as a contributor, will be on Channel Five tonight at 8pm.